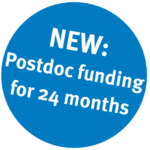 The new DRFZ Postdoc scholarship – DRFZ YOUNG TALENTS FELLOWSHIP – promotes outstanding young, talented scientists with a background in natural science working on chronic inflammation. This new program is designed for Postdocs who are already working at the DRFZ and whose employment contracts are about to expire. The program covers the salary of the successful applicant for 2 years (according to TVöD). The scholarship holder will carry out an independent experimental research project at the DRFZ, but will be integrated into one of the research groups of the DRFZ, thereby being exposed to the interdisciplinary and international network of the institute. The scholarship offers personal mentoring and support in raising third-party funds, teaching and leadership skills are also strengthened, and cooperation is promoted. Scholarship holders are given the opportunity to sharpen their research profile and are supported in their transition to the next career phase. 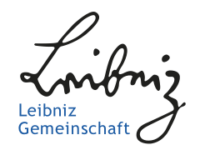 The scholarship holder will be part of the PostDoc-College of the Leibniz ScienceCampus Chronic Inflammation at the DRFZ. The proposed experimental research project should fit into the strategic work plan of the DRFZ: Why and how do chronic inflammatory diseases develop and how can they be prevented or best treated? This includes research on basic concepts, or on certain chronic inflammatory diseases such as inflammatory rheumatic diseases, chronic-inflammatory diseases of the intestine, the skin or the nervous system, as well as projects aiming for new therapeutic approaches. Proposals will be evaluated based on the candidate’s excellent research achievements that demonstrate an independent research profile (according to career level). Furthermore, the quality and originality of the proposed research project will also be a deciding factor in granting the fellowship.